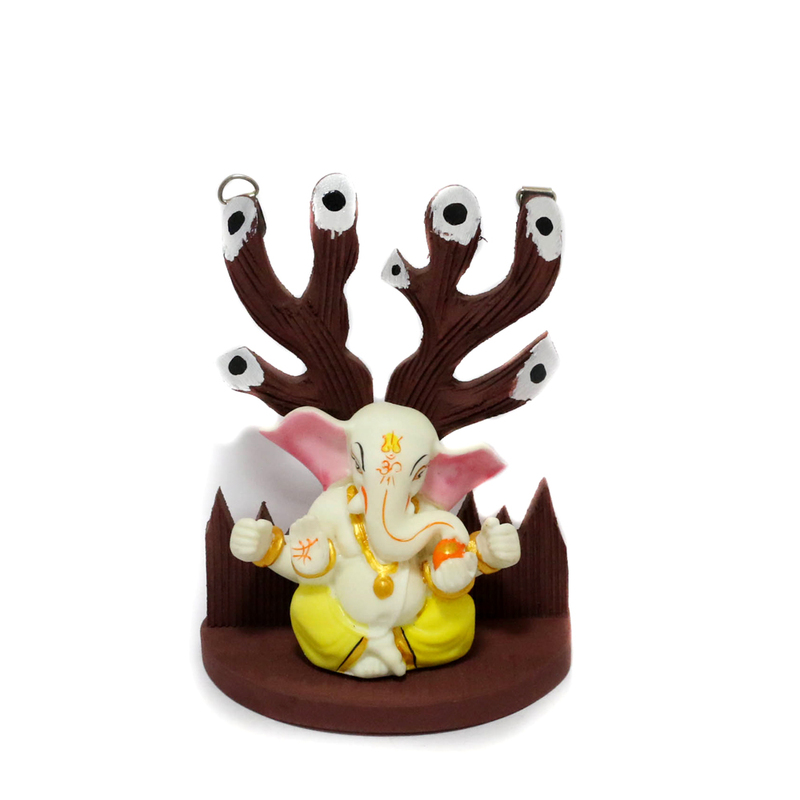 this is a simple yet very cute form of Ganesha made up of terracotta and resin. Lord Ganesha is fully white in colour wearing yellow Read More..dhoti. The idol is depicted here with four hands, seated under a leaf-less tree in brown. The tree is illustrated with a few branches and has a semi-circular platform in the front where the idol is stationed. Show Less..